You don’t have to be from Maryland to master this crispy-sweet seafood dish. Here, 12 easy and delicious recipes for restaurant-worthy crab cakes. 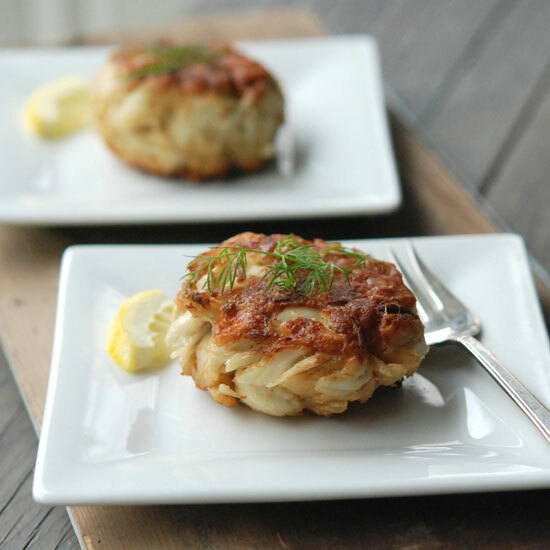 According to Andrew Zimmern, this is the best crab cake recipe you’ll ever find. These minimalist patties are made with only enough bread crumbs and mayonnaise to hold the crabmeat together. Amazingly light and simple, these are bound with fish, not cracker crumbs, for a deep seafood flavor. Instead of bread crumbs, chef Stephanie Sokolove likes to use crushed pretzels to bind and crust her chunky crab cakes. Both blue crab and Dungeness crab work for these. Spiked with red chili sauce, these crab cakes are delicious with the sweet mango puree. These patties are bound with a luxe mix of crème fraîche, lemon juice, chives, parsley, tarragon and diced apple. A drizzle of molasses glaze gives these patties a sweet Caribbean flavor. These crab cakes are spiced with ginger, cumin, turmeric and cardamom. This recipe features lots of crabmeat, lightly held together by saltine cracker crumbs, Tabasco sauce and mayonnaise. Actor Robert Duvall grew up loving his mother’s crab cakes in Annapolis, Maryland. This is her recipe. These bright, Asian-inspired crab cakes are served with lemongrass mayo and pickled melon balls.